MONROE TWP., Pa. (EYT) – A Clarion woman is facing charges after she was found wandering around screaming near an Interstate 80 ramp in Monroe Township. According to a criminal complaint, the Clarion-based State Police filed criminal charges against 32-year-old Kristen Ann Young, of Clarion. According to a criminal complaint, around 9:15 a.m. on Thursday, March 21, Trooper Rowe of the Clarion-based State Police was dispatched for a report of a woman going into businesses along South 5th Avenue/State Route 68, in Monroe Township, Clarion County, asking them to call 9-1-1, and then leaving the business. The complaint notes that three separate businesses reported incidents within 30 minutes. Trooper Rowe observed a female matching the description from the businesses walking down a ramp toward Interstate 80. He spoke with the woman, who was later identified as Kristen Ann Young. According to the complaint, as Trooper Rowe was speaking to her, she was screaming for help. Trooper Rowe asked what was going on, and Young replied that she had been in the hospital the prior day and left. The complaint states that when Trooper Rowe asked if she was under the influence of anything – as he observed she appeared to be under the influence of narcotics – Young allegedly related that she had used methamphetamine earlier in the morning. Trooper Rowe noted she had dry mouth and could not sit still. Young was then handcuffed, and Trooper Rowe attempted to help her over the guide rail. According to the complaint, Young then began to scream and pull away, but Trooper Rowe was able to eventually get her over the guide rail and place her in the rear of his patrol car. 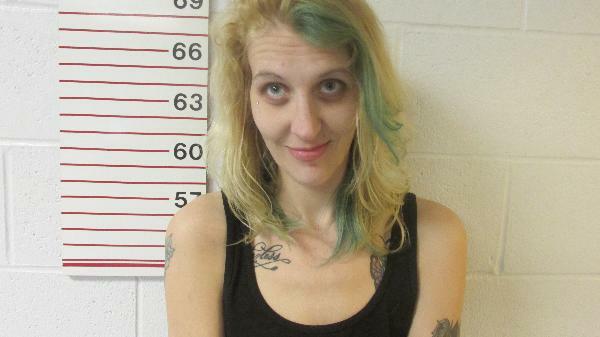 Unable to post $2,500.00 monetary bail, she was lodged in the Clarion County Jail. A search of the Clarion County Jail Inmate database indicates that Young’s release date was projected for 9:45 p.m. on March 21. A preliminary hearing is scheduled for 8:30 a.m. on Tuesday, April 2, with Magisterial District Judge Timothy P. Schill presiding.